and you'll get to meet some of the locals! Your Informed Mind, Healthy Body Connection. This is the closest we have to an actual grocery store. They have dairy products, some fresh veggies, a great wine selection - including Cava! And - my favorite - they have a great selection of Bulk Herbs! Jenny Q's Herbals offers an exquisite line of responsibly sourced, hand-crafted herbal, aromatherapy, and natural health products. Formulated with the highest quality ingredients to support the body's strength and balance. Created in small batches with spirit and intention, in the heart of the Mojave Desert. 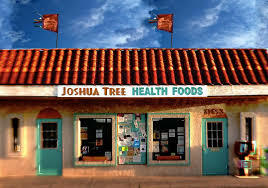 Joshua Tree Food custom-makes healthy Mediterranean / US Southwest food and much more for local events. Baked goods, Raw, Paleo, Vegan, Dairy-free, Gluten Free, etc. all available! We can make outstanding beverages like our wild harvested local prickly pear fruit juice with basil and jalapeño syrup. Joshua Tree Food can even provide live musical entertainment while you enjoy your meal! Begin your journey engulfed in the medicine wheel, the womb of mother earth, with a cleansing using white sage and other healing herbs. Followed by a drumming used as a connector to the yourself and the universe. Before entering the animal guide meditation trail, a explanation of the trail will be given and , according to your birthdate, your animal guide will be revealed. Plan on at least 90 minutes for your journey. 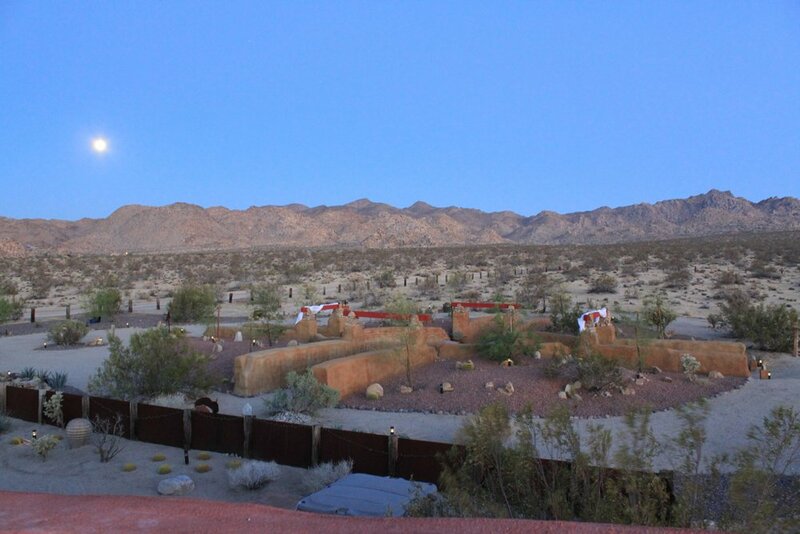 Call Abe Daniels, caretaker of the land and guide, at 626-233-4768 for reservations and directions. There is a $40 per person offering. Drums and herbs are provided. No reservations needed to attend classes. Allie Irwin is a nationally certified and state licensed massage therapist specializing in therapeutic deep tissue massage for women. 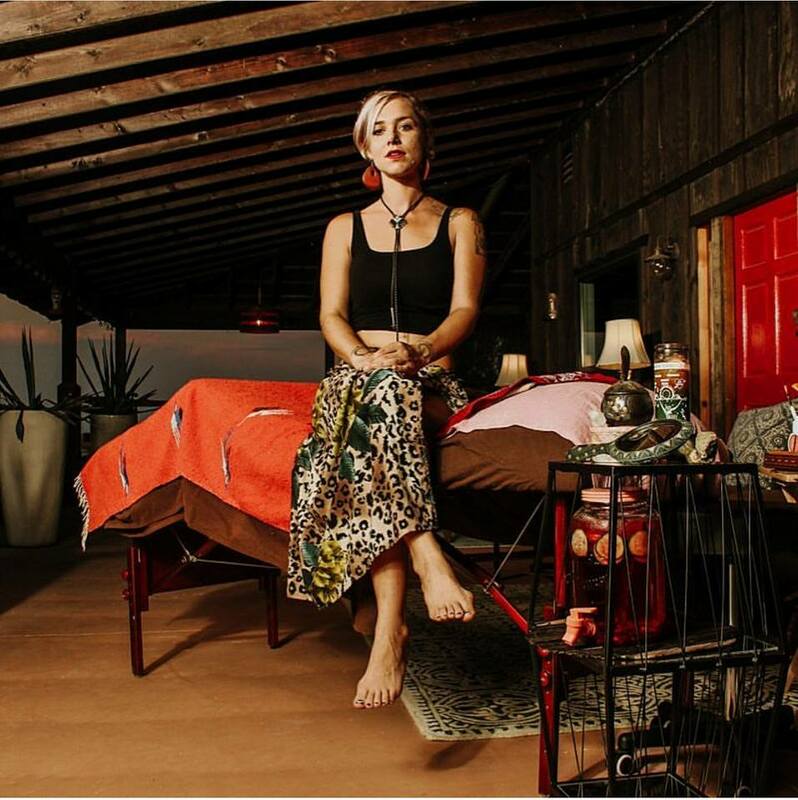 Allie has been in private practice in the Joshua Tree area for six years, providing high quality bodywork for locals and visitors. Sessions are by appointment only. Allie's hours are flexible. Got a local business to list? Contact us!